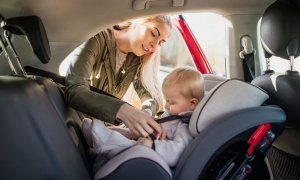 The Best And Worst Isofix Baby Car Seats For 2019 - Which? 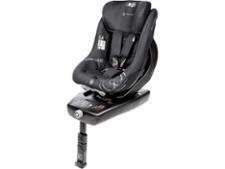 What are Isofix baby car seats? 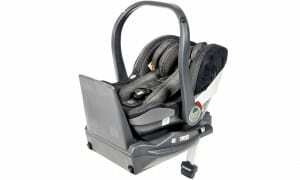 Isofix is a type of child car-seat fitting system that should make it easier for you to fit your baby or child car seat. We examine and assess the most popular Isofix and other car seats, putting them through our tough crash tests. Below, we've picked out the best and the worst from our most recent tests, or high scorers from previous tests if they're still available, so you can instantly choose which to add to your shopping list of Isofix child car seats. Our table below shows the top five Isofix child car seats from our stringent tests. But do also take a look further down the page at the worst Isofix child car seats we've tested. These are the ones with the lowest scores, so you can compare and make sure to avoid. This combined baby and toddler car seat has some excellent features. 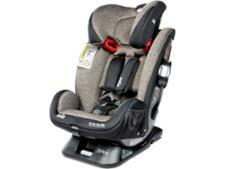 It's approved to the latest car seat rules, gets an excellent five-star overall rating for safety based on the results of our unique crash testing, and will keep your child rearward-facing until they're around four-years old. It was tested in 2016, but still deserves its place in our 2019 top scoring Isofix child car seats. This is an excellent baby car seat that joins a growing list of car seats we've named Best Buys from this brand. It provides a very good level of overall protection, plus it's easy to install and has the flexibility to be used on an i-Size base or strapped straight into the back seat of a car. It's lightweight and simple to use, too. Another brand with a strong history of high-performing car seats in our crash tests, with several Best Buys. In 2018 it added the latest i-Size model to its hall of fame, thanks to this baby car seat's excellent crash test results. The position your baby is held in when he or she is in the seat is good, too, and it's still a good bet in 2019. This eye catching child car seat is good quality, and is a Best Buy thanks to a combination good crash test results and being easy to use. It's installed into your car using Isofix and is the seat you'll swap too when your child outgrows his or her toddler car seat. It's approved for use with kids from 15-36kg, which is around four to 12 years old. Find out which one earns a place in our top five for 2019. This baby to toddler car seat is approved to the latest car seat regulations (i-Size/R129) and gains an impressive overall test score of 75%. It stays permanently attached to your car, so it can't be used as part of a travel system. It's a Best Buy thanks to the excellent crash protection it offers when used rearward-facing, and you can keep your baby rearward-facing until he or she reaches 105cm in height, which is around four years old, or around 18kg in weight. Log in to find out which one you should consider buying in 2019. Below are the five Isofix child car seats that have scored least well overall in our tests. We crash test every car seat we review in a front-impact and side-impact crash scenario, and our experts also do around 500 fitting checks each year to see how easy each child car seat is to fit. 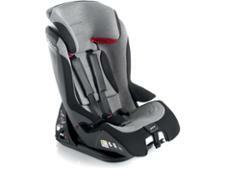 They also carry out ergonomics tests to see how comfortable your baby or child's ride will be. You can find out more details about our testing at the bottom of the page. This popular combination seat is approved for use from birth up to 36kg - that's around 12 years old, or when your child may no longer need a car seat. Multi-group car seats don't always work as well as separate seats, and this seat is no different. We've named it a Don't Buy in our review because of poor crash test results in one mode. Read our safety alert for more information. This car seat joins a long list of baby-to-toddler car seats that can be used rearward-facing from birth right up to 105cm, which is around four years old. It's approved to the latest i-Size R129 car seat rules, has a handy recline feature, side-impact protection and soft padding, but it's not cheap. We've made it a Don't Buy baby car seat in our review because the seat shell broke when we crash-tested it forward-facing. Click the review to read our safety alert for more information. This car seat is a multi-group seat is a Group 1/2/3 child car seat which the manufacturer says will grow with your child at each stage. It's the seat you'll swap to once your little one is too big for their baby car seat and should last until a car seat is no longer needed. We crash test each car seat we review, and this seat has been made a Don't Buy. Click on the review to read our safety alert to find out why. We crash test every child car seat we review using more severe crash test scenarios for front and side impact than the legal requirements. For example, baby car seats approved under the older car seat rules (R44.04) do not go through a side-impact crash test. This is why our tests find differences, and why our crash testing helps us to find the car seats that offer the best protection for your children. Our front-crash test is equivalent to a head-on collision at around 40mph, compared with around 30mph to be approved for sale, and our side crash is equivalent to two cars crashing into each other at around 30mph. The crashes are repeated again and again, in the different ways a car seat can be used. State-of-the-art crash test dummies are used to test all car seats, no matter what car seat regulation the seat is claimed to be approved to. These are wired up to record the crash forces on the most vulnerable parts of the body, which our experts believe helps to accurately indicate what chances of injury a child would have in similar circumstances. To see which impressed in our tests, go to our best car seat reviews reviews.